Prior to the Allegro® 17.2-2016 release, team-design management was only available through a separate Team Design Option user interface, which was used to define and manage the team and to provide team members with formal check-out/check-in capabilities. While this tool is still available and supported in the Allegro 17.2-2016 release, all of the team design functionality is now built directly into Allegro DE-HDL. The project integrator (the person responsible for defining the team and assigning team members to pages or objects within the design) can enable design management on a project using menus and/or toolbars within Allegro DE-HDL. Team members can stay within Allegro DE-HDL to check-out/check-in designs using menus integrated into the hierarchy viewer or by using a design dashboard. Again, prior to the Allegro 17.2-2016 release, this process required the use of the separate Team Design Option user interface. When a Microsoft SharePoint server is used for design management, complete versioning functionality is supported, including the ability to check out a previous version. While SharePoint delivers versioned design management, a simple file system mechanism can also be used to manage the data. In this case, versioning is not supported but a shared area with R/W access to all team members is all that is required. A significant advancement in the Allegro design management features—now available with the Allegro 17.2-2016 release—is the ability to manage designs at the page level. What’s more, this is supported for both hierarchical and flat designs. 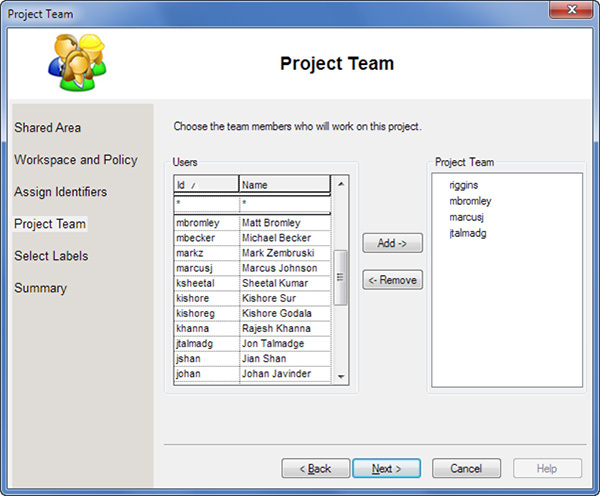 Multiple team members can be assigned at a page level, using the team assignment “Pages” option. Although individual designers cannot be assigned to specific pages, any team member that is part of the page-level editing team can check out and edit a single page, which allows multiple engineers to edit different pages of the design at the same time. This feature has also been extended to work with constraints—any team member on the constraints team can check out and edit the constraints they have been assigned to. For those customers who do not have the Allegro Design Authoring Team Design option, data can still be managed from within Allegro DE-HDL. This flow requires a SharePoint server to store the managed data, but the capabilities and use model are almost identical to the team-design flows mentioned above. The major difference is that each member of the project team has equal access to all of the design objects as opposed to a formal team design environment where specific objects are assigned to specific team members. 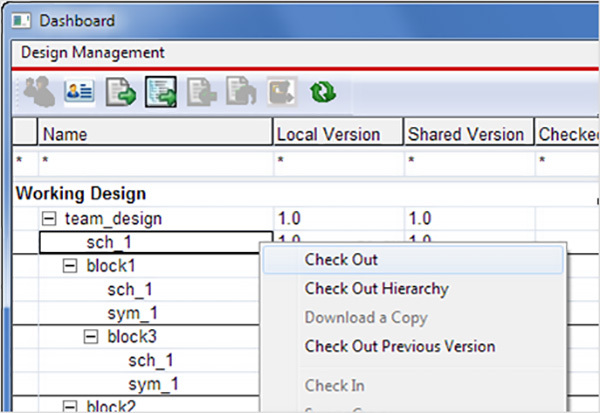 Support for hierarchical split symbols was introduced in Allegro DE-HDL in the Allegro 16.6 release. With the Allegro 17.2-2016 release, these hierarchical split symbols can now be managed with Allegro Library Manager. Once added to the Allegro Library Manager database, hierarchical split symbols can be selected from the Component Browser in the same way as any other part. This functionality has also been extended to allow homogeneous blocks with more than one symbol to be managed with Allegro Library Manager. 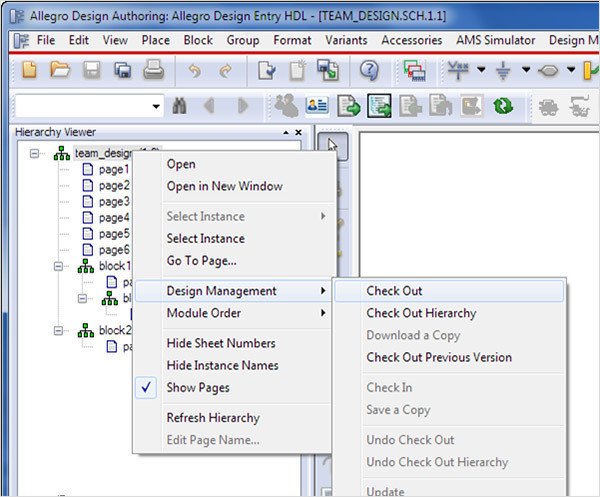 The Allegro EDM 17.2-2016 release now supports the standard library, which contains page borders, ioports, taps, power symbols, etc., so that librarians can manage these parts and engineers can stay connected to the database to select them. Engineers can now place these parts from the library database without having to disconnect to place these symbols.